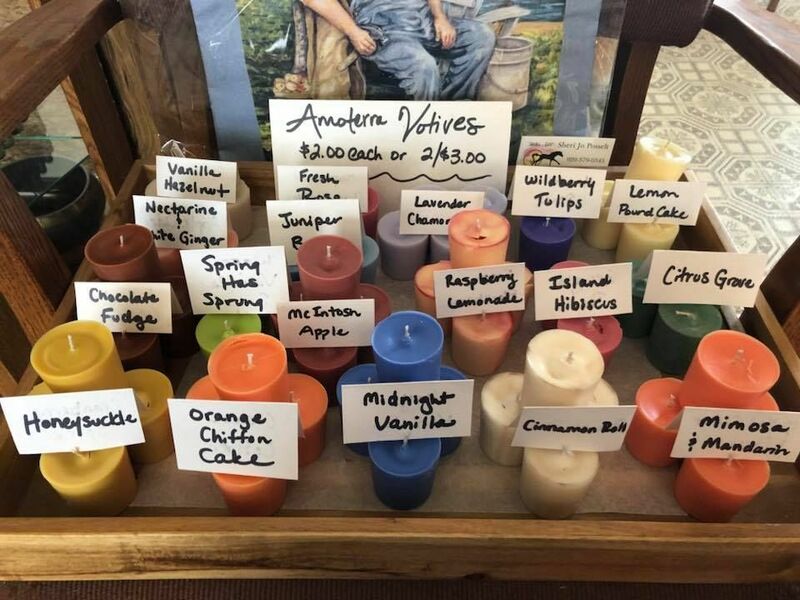 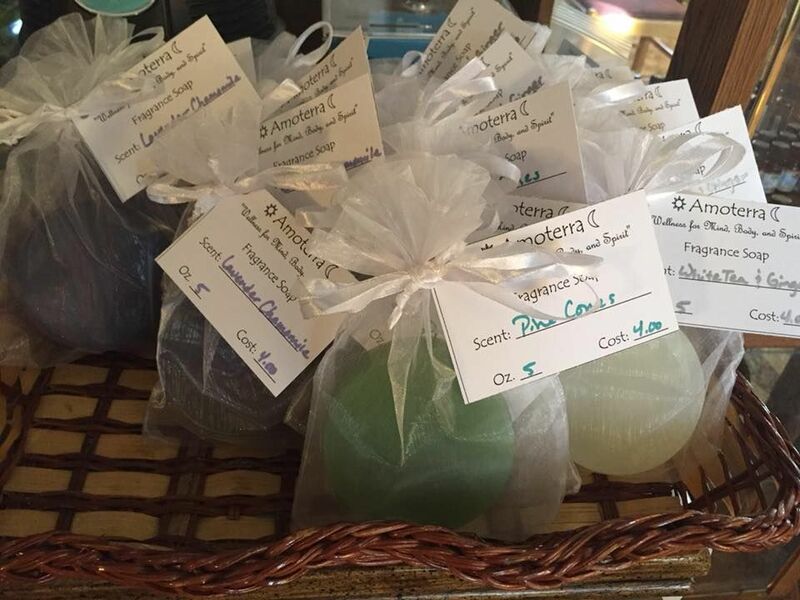 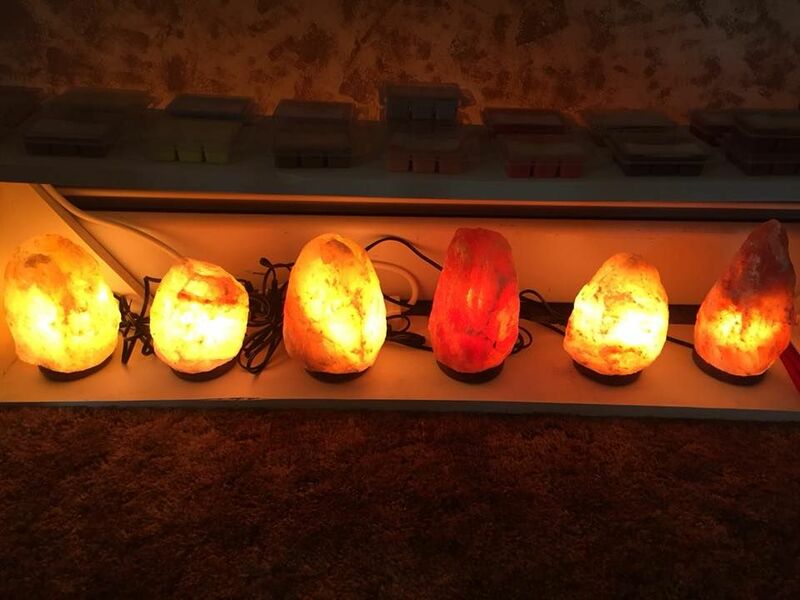 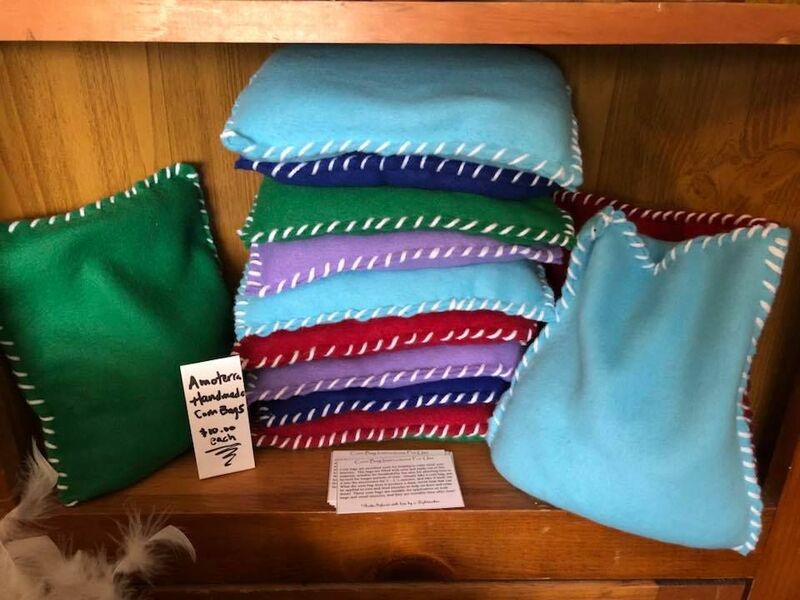 We carry a wide array of different products for sale, including gemstones, ointments, corn bags, jewelry, handmade soaps, handmade soy candles, essential oils, and more! 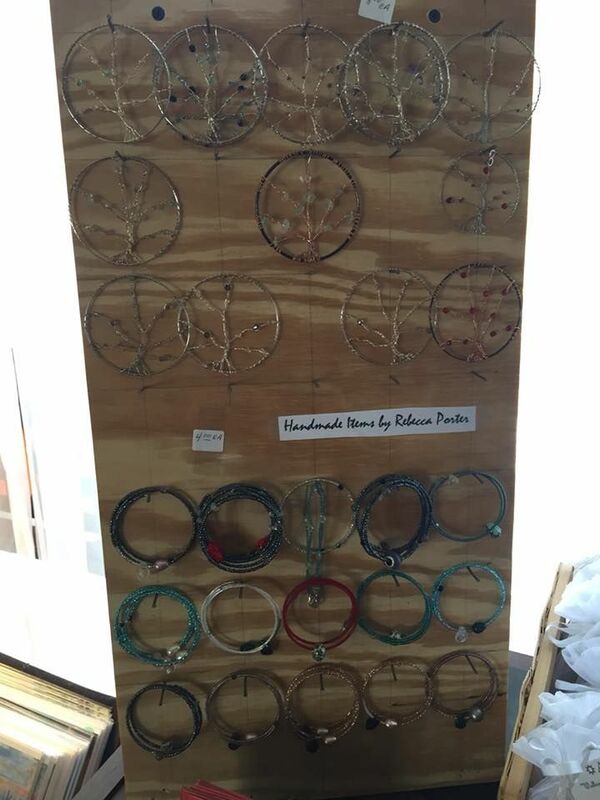 We also carry products made and/or created by local artists. 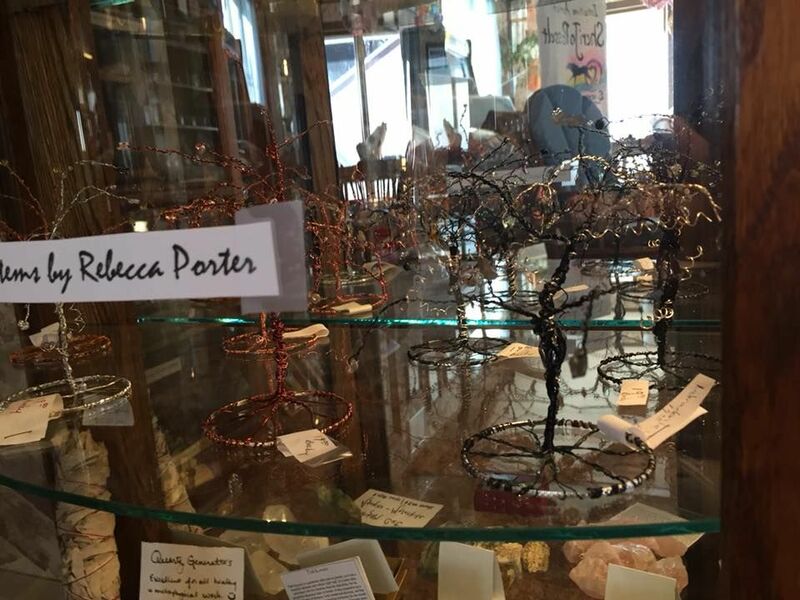 Sheri Jo Posselt's art gallery can be seen in our entry room, as well as hand-crafted wire trees, bracelets, necklaces, and medallions made by Wabeno local Rebecca Porter. 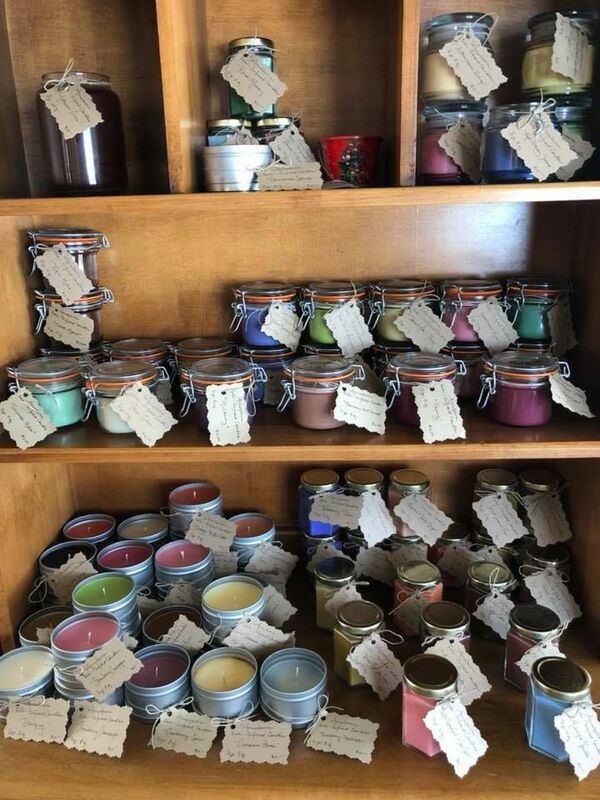 Stop by to check out our product selections! 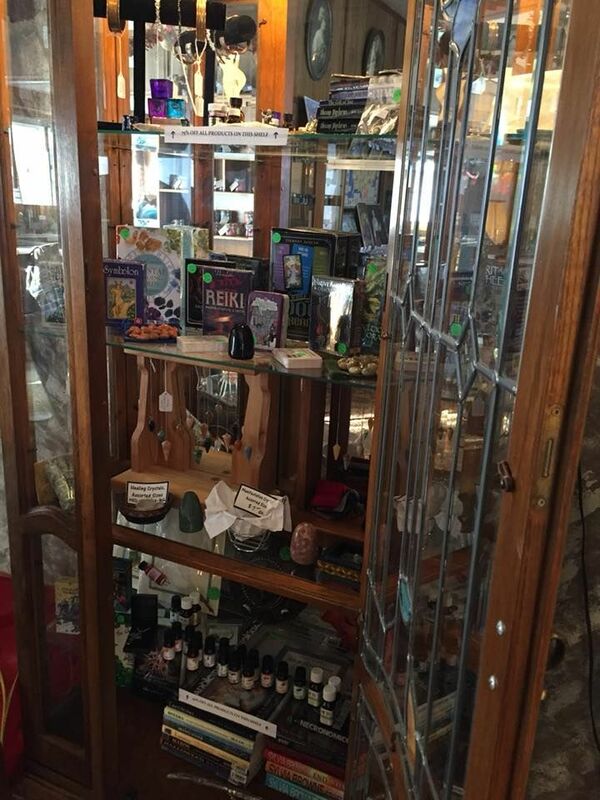 We have a lot to offer, and there's plenty to look at to keep you occupied!